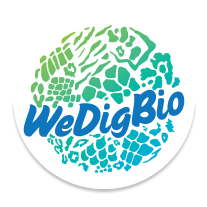 Day 2 of WeDigBio 2018 was busy with onsite events around the United States and lots of online activity. If you haven’t yet seen the TV coverage for the event at The Field Museum in Chicago, check it out on these links on ABC and NBC. 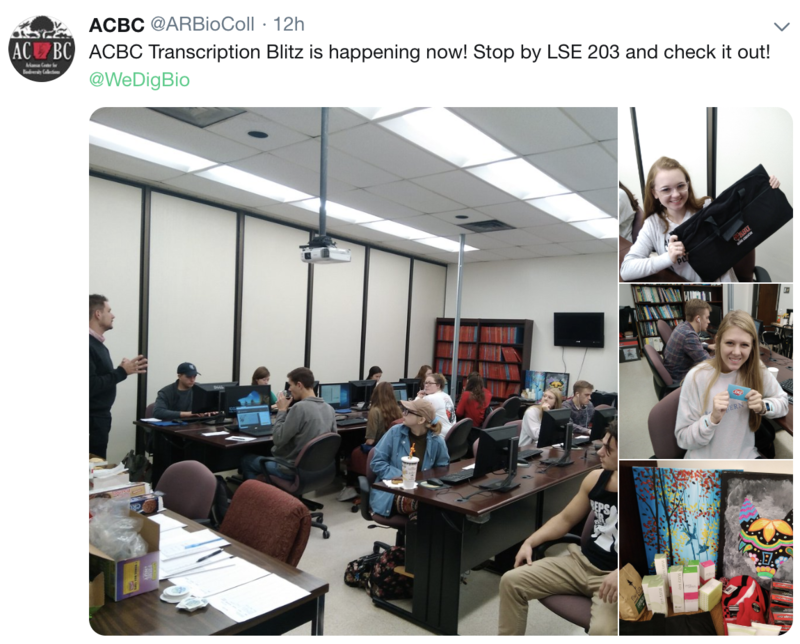 They’ve welcomed over 400 citizen scientists transcribing and working in their collections during WeDigBio. 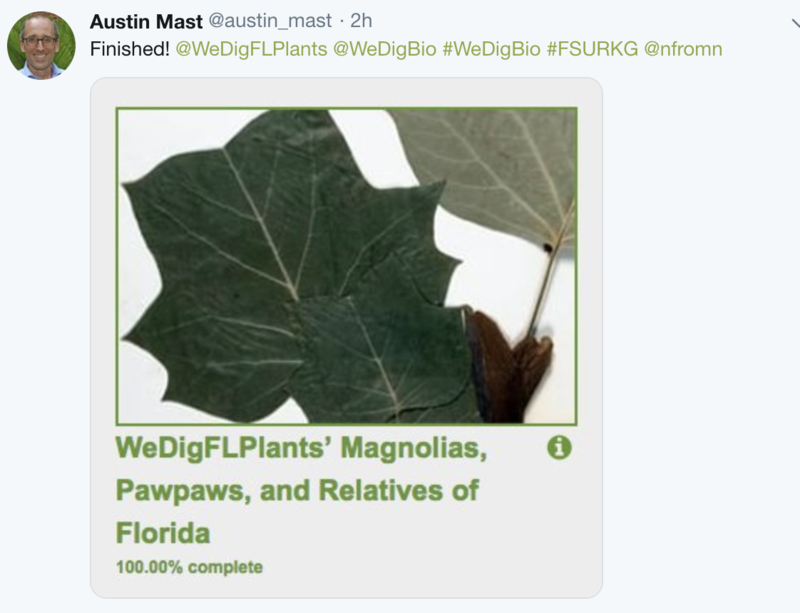 Meanwhile, in Florida, the WeDigFLPlants event completed a Notes From Nature project on Magnolias, Pawpaws, and Relatives of Florida. Phenomenal work, guys! 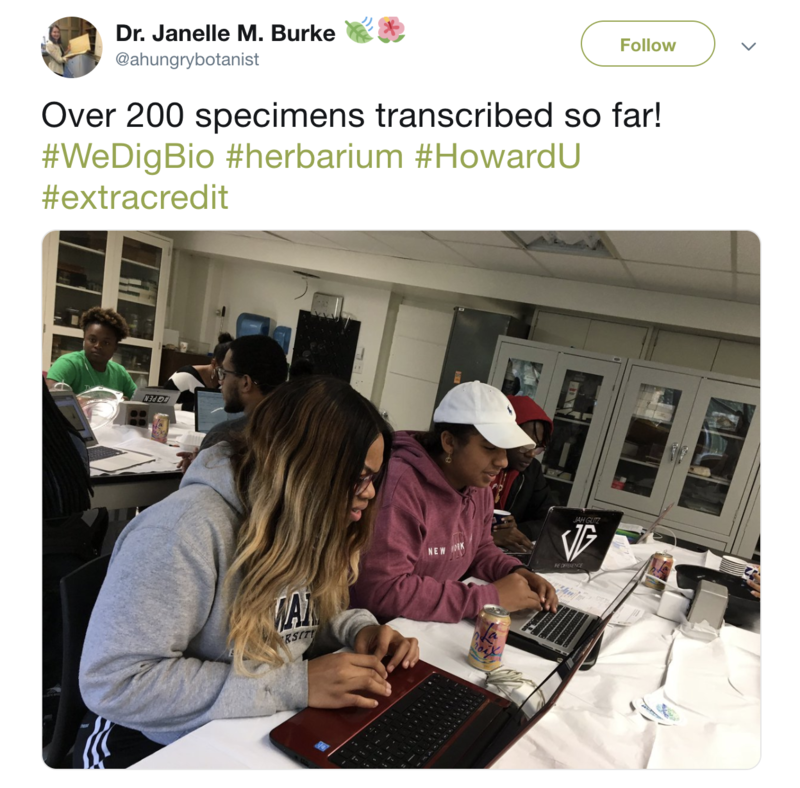 The students at Howard University in Washington, DC completed over 200 specimen transcriptions at their herbarium (left) and Pittsburg State University in Pittsburg, Kansas has been busy with events yesterday (right) and today. 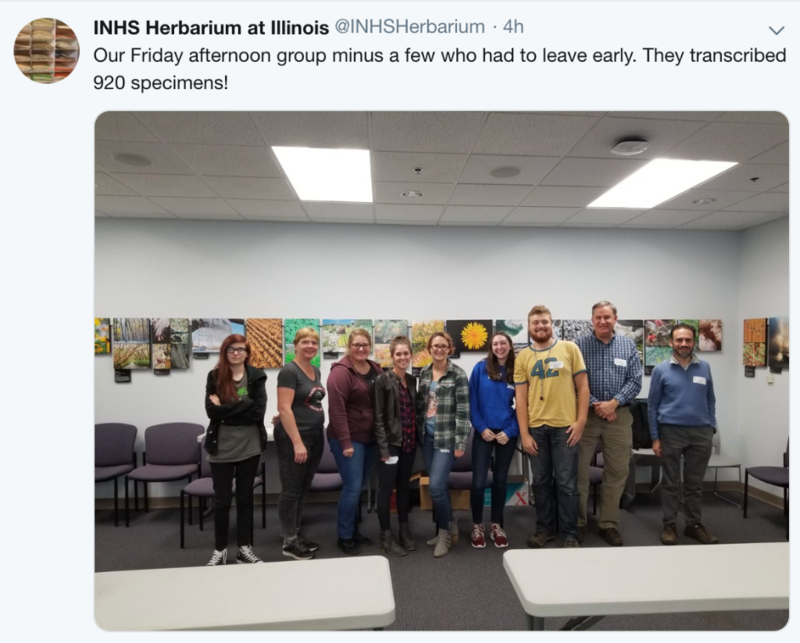 Participants at the herbarium at the University of Illinois and at the Arkansas Center for Biodiversity Collections were super productive and many won prizes from local businesses! 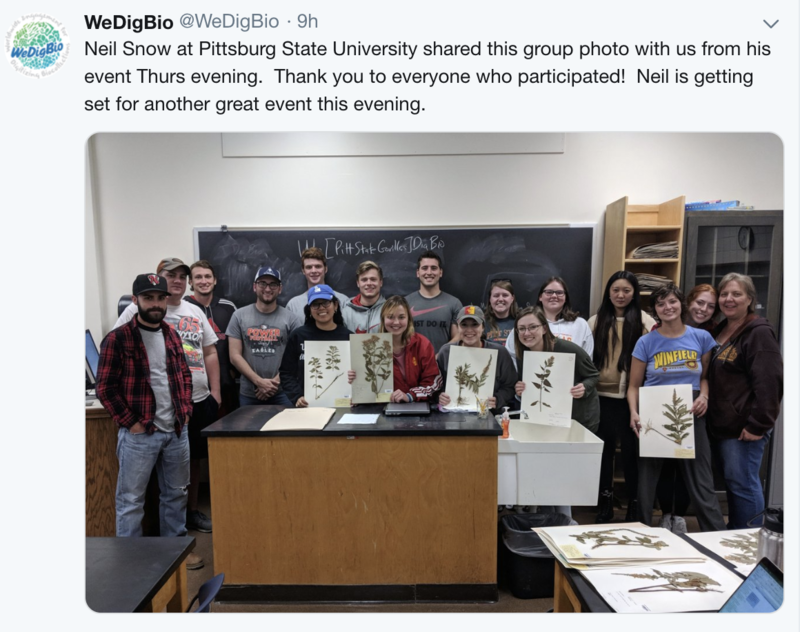 Events often customize their activities and interests and the ever-cozy Massey Herbarium at Virginia Tech is no exception. 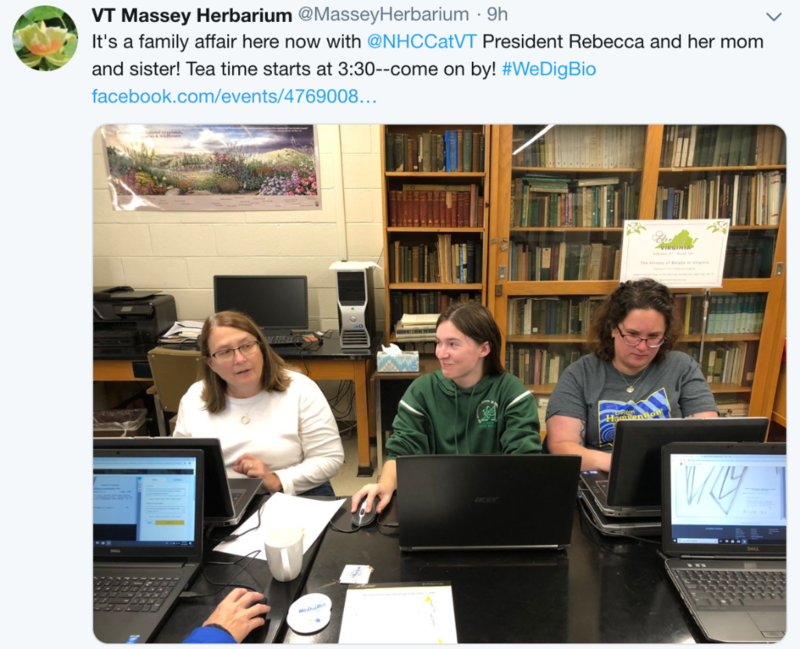 They hosted a WeDigBio transcription and tea event (left)! 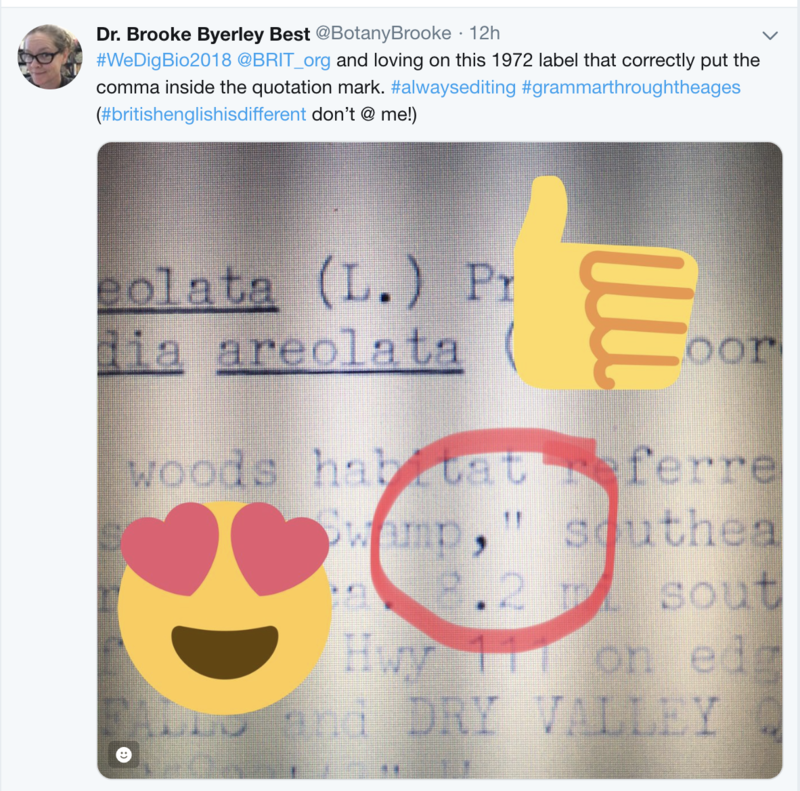 Likewise, the Botanical Research Institute of Texas (BRIT) in Fort Worth, Texas got into the grammatical aspects of their transcriptions (right) and also transcribed R. Dale Thomas’s collections number 153,133. Can you find a higher collections number in your transcriptions? Events were also held at Eastern Kentucky University in Richmond, Kentucky, at Yale University in New Haven, CT and in a Broader Impacts class at the University of Florida in Gainesville. For Day 3 we're excited to keep the events and online efforts rolling around the world! 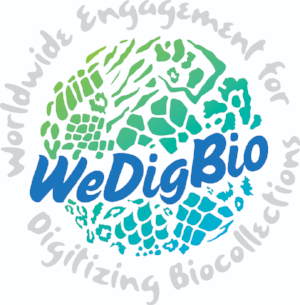 Keep tagging your posts with #WeDigBio and follow along on the dashboard at wedigbio.org as we blast through thousands of specimen label transcriptions! Many thanks to everyone for all the amazing work!